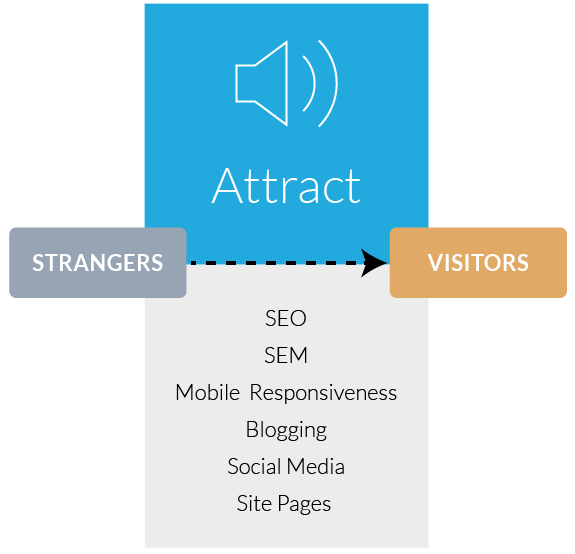 Successful inbound marketing is all about attracting the right type of traffic to your website. To do this we have created a strategic array of products and services that leverage your business model and position it with your dream customer in mind. 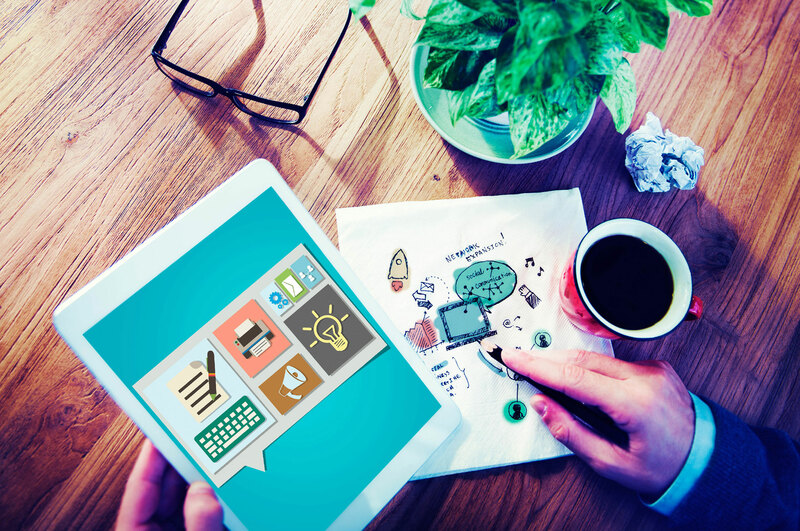 In order to successfully attract your ideal target market to your website, your website needs to function with specific marketing tools and channels. Keyword Analysis – An effective content strategy must revolve around the words people are using to find the answers to the questions and concerns they may have. If nobody is looking at the words you are using, it will be like winking in the dark; you know what you are doing but nobody else can see you. Blog Editorial Calendar – Writing blog content is far more important than just espousing rhetoric and information. The title to your blogs are how they will be indexed by search engines. If you can match your blog titles to your persona's pain points you will attract traffic and visitors to your site and landing pages. If you miss the mark, it is likely that nobody will see what you are writing about. We create blog editorial calendars to target keywords and key phrases that will be found, used, and converted. Blog Writing & Posting – Writing your blogs and then making sure that they get posted far and wide is essential to their effectiveness. Using software that makes it easy to promote your blog articles as both indexed pages and social media posts is critical to their success. Your blog is one of the best ways to attract unique new traffic to your website. Social Media Network Creation – Developing a consistent brand for all relevant social media networks will greatly improve your ability to put relevant content in front of your specific buyer personas. Understanding each platform's individual nuances will ensure that you maximize the content exposure available from each. Social Media Posting Calendar – It's no longer enough to simply auto post once to each of your social media networks. A posting calendar that also utilizes things like hashtags and other important elements is very important to social media success. In some instances a post is only relevant for a few minutes. This is why a comprehensive social media posting calendar will take into account re-purposing content on different days and times to obtain more exposure and ultimately more conversions from your expert content. Social Media Monitoring & Engagement – Good social media software tools will enable you to monitor and engage with your content. It is very helpful and useful to engage when people look at, comment on or re-post your content. Becoming social is the point, and making friends through engagement will rapidly grow your social media presence. Site Page Optimization & Monitoring – It is not enough to optimize your page and forget it. Keywords, page titles, meta descriptions, H1/H2 tags, and alt tag descriptions all have a tremendous impact on the indexability of your site pages through the eyes of search engines. And through good monitoring and management you should be regularly and routinely upgrading your site page for improved search engine results page placement.